Have a licensed inspector give your fuel-burning systems the all-clear before turning on the heat each fall. That means venting as well! Install at least one CO alarm in your home – one per floor is recommended by the National Fire Protection Association and, at a minimum, outside sleeping areas. 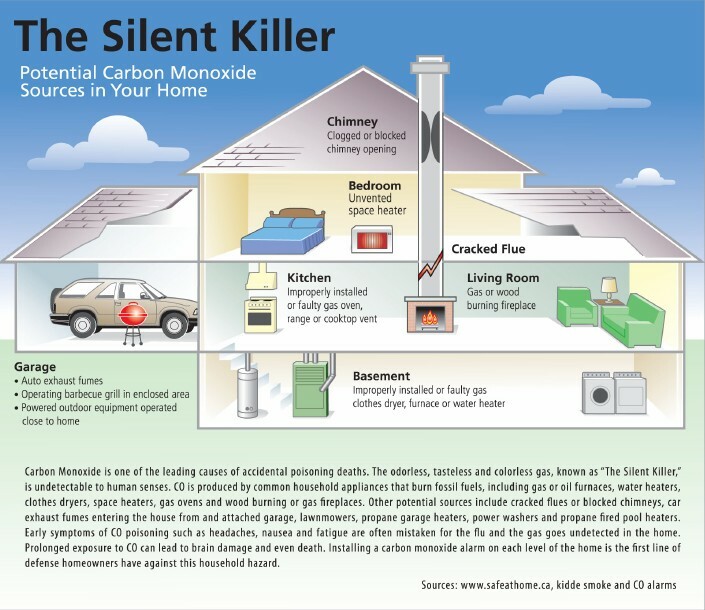 In Canada, safety organizations stress that when you buy a carbon monoxide alarm, make sure it has a CSA 6.19-01 certification sticker on the package. It is also the law now, in the Yukon. Never bring gas generators, propane heaters or other equipment inside your home or garage. These are rated for outdoors use only!